It’s about now we’re out choosing our Christmas trees and it makes sense to pick up a pine or fir, rather than a spruce, to avoid premature needle drop. Stood in a bucket of water away from a radiator and heat, a cut tree will last longer. 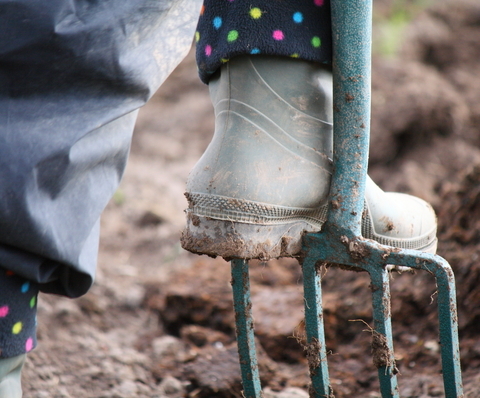 Outside once more you can be warming up, if you have heavy clay soil, by digging in lots or organic matter. There’s always plenty of tidying up to be done, clearing weedy beds, checking greenhouse heaters and insulating outside taps, raising patio containers onto bricks or clay feet so they are not sitting in the wet. Cut back faded herbaceous perennials or lift and divide them to increase your stock. You can wrap large pots in bubble wrap or hessian to help protect them from cracking and their residents from freezing. Root cuttings can be taken now to propagate new plants such as poppies (Papaver) and hardwood cuttings of shrubs and climbers will give you free plants for the future. At the end of the day you can put your feet up, gaze out on the garden and think about your planning for next year. Have a Merry Christmas and see you then.